It rained last night, but it stopped by the time I awoke. I went to the supermarket in a slightly febrile state on Monday and this was the perfect soundtrack. It's strange and dark and disjointed. Quite weird. It's like the early Bandcamp releases of Kara-Lis Coverdale if they were Paulstretched and chopped up. The track titles are ace too: 'If I die here I was murdered by daytime television'; 'My laughter is a bubble of despair' and other such cheery names. Solid Blake is known for some outrageously heavy techno, both in her productions and her DJ sets. This guest spot for the Newtype Rhythms shows a different side entirely. It features diverse sounds from Lucrecia Dalt, Repeated Viewing and The Knife. As always with these shows, the guest mix is preceded by host Sheepshead, who's in a contemplative mood this week. PS Belated happy birthday to Newtype! Here we have a particularly angry collection of tracks, put together to raise money for Ta'ayush, a grassroots movement of Arabs and Jews working to break down the walls of racism and segregation by constructing a true Arab-Jewish partnership, and RAICES, who are fighting to help reuinte families separated at the US border. From dark sound art and searing cello to pounding techno, there are all sorts of manifestations of pain here. I'm going to plead ignorance here but I've never playedAnimal Crossing. In fact, I've never played most games that people talk about. My friend Aidan, who works in games as a producer/designer/writer, shared this charming release, which sees internet celebrity leon chang rework the game's musical interludes into short beatsy vignettes. It sounds lovely to me, outside of any prior knowledge, and the comments suggest that it's a pleasing rework of familiar sounds. Vietnamese artist Sound Awakener is incredibly busy, with a steady stream of projects on the go at any one time. 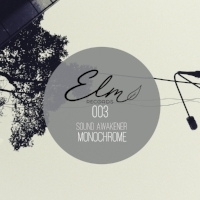 This latest release, on the UK ambient label Elm, shows a nice and droney side. It's several parts synth, drone, strings and *unknowable sounds* and it's slow and languid, working wonderfully in the sluggish heat we're having, seemingly worldwide. If you haven't had enough noise yet this week, here's a groovy release from UK artist Shelley Parker. It's abstract, defined, noisy, jagged, crunchy and clubby all at once. After a few build-up tracks (a kind of soundcheck if you will) it moves into rave patterns and treated drum breaks, all culminating with a head-down rolling banger. Nice work. GAHHH I love this. It's part Twin Peaks, part awkward club banger. Haven't we all had a breakdown in the work toilets? Annie wonders why, as we all do. I can't say more than that, just dig in and have a little sob. An unnamed DJ I follow on Bandcamp purchased a compilation from this outfit, which seems to have a gajillion collections of 90s goa trance and rave music. The artwork alone is worth a look (check out the Ravermeister series in particular), and it's hard to pick just one, but why not go for this. It's proper early trance, so think acid modulations and washy synths over fast kickdrums, with tracks from the likes of Laurent Garnier, L.S.G. (aka Oliver Lieb), Hardfloor, The Orb and CJ Bolland, among others. Happy Friday!